﻿Learn a variety of professional techniques for creating and controlling light in the studio environment to make the most compelling portrait of your subject. Master people photographer Billy Howard shows you how to put your subject at ease, how to use a variety of both low- and high-tech lighting strategies to create a variety of moods that helps tell the story and highlight the personality of your subject. Classroom instruction in the morning -- real world shooting with a model/studio in the afternoon. This workshop is limited to 12 participants. Billy Howard is a commercial and documentary photographer with an emphasis on health, education, and social themes. For more information -- visit his website. 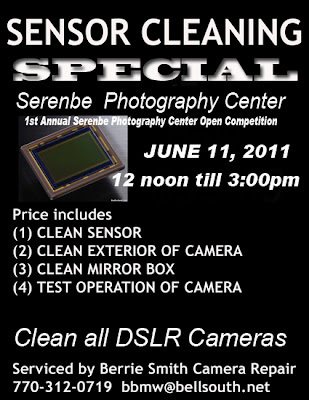 Any questions on this workshop or to sign up for other events please visit the Serenbe Photography Center website or call the center at 770-463-9098. 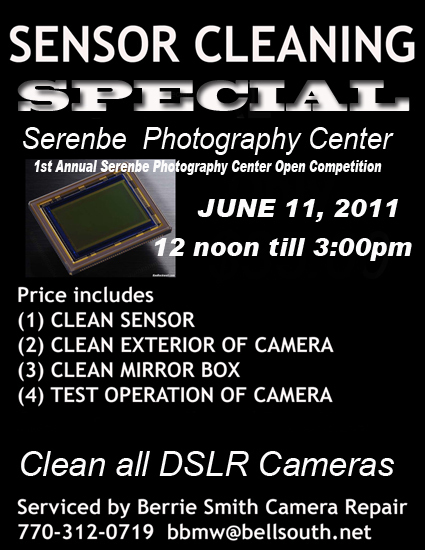 The 1st Open Competition Scavenger Hunt is June 11 -- there are an abundance of prizes available for this event. Come as an individual or sign up with a team. Have you wanted to try antique photo print process but did not know where to start? 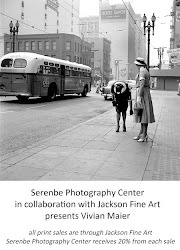 Photographer Michael West will guide you through the basics of creating your own digital negatives and how to hand coat and process beautiful vintage Van Dyke brown prints. This one-day workshop teaches photographers the basics of hand coat﻿ing photosensitive papers and how to create the digital negatives used for this contact print process. Everyone will have their own hand-coated print to keep at the end of the day. For details, to learn about Michael West, and to register, click the link above or visit our website. There are other great events at the center this June -- The Open Competition on June 11, The day on the Flint River with Peter Essick on June 4, and a lighting workshop with Billy Howard on June 25. The Open Competition is a scavenger hunt format open to all photographers. Photographers may enter individually or form teams with up to 5 members. Each player or team will select one best image from each 6 assignment categories to submit to the judges panel﻿. Every team receives the same assignments and we guarantee that the categories will be challenging and creative -- as well as fun! Atlanta region photogragphy leader Gittel Price, well known for her great work with Women in Focus and Roswell Photographic Society, as well as other projects, will be guest host. Photographers will shoot on location in the Serenbe Community in town, farm and rural settings -- categories will draw on diverse locations, people and Serenbe landscape. 1st, 2nd, and 3rd place awards will be given in each of the 6 categories. One best overall trophy will be presents to the individual or team whose collective submissions in all categories are judged the best. A wide variety of door prizes and awards will be given by Serenbe shops and restaurants, Showcase Photographics, Dogwood Gallery, The Gallery at Serenbe, and SPC Print Studio. Has your photography experience been limited to digital only? Are you a photographer who used to enjoy watching the image appear in the developing solution? Join instructor Stephen Brownlee and learn, or relearn, the art of producing fine black and white prints the traditional way. You will learn doging and burning. You will learn how to evaluate the tonal relationships within the print. Explore the art of split contrast printing on variable contrast paper and creating a print recipe so the print can be duplicated in the future. Learn how to selenium tone and to archivally wash and dry prints. Stephen Brownlee is the Lab Manager at Serenbe Photography Center. He has been active in photography for 35 years. Space is limited for this workshop. Visit this link to register. Call the center to ask any questions.